Tim Burton and Johnny Depp are teaming up for a film version of the 60s television series Dark Shadows, a "Gothic soap opera" that we pray will lead us out of the wilderness of Twilight-inspired emo vampires and werewolves. Producer Graham King confirmed that the film will begin shooting late next year, with Burton at the helm and Johnny Depp starring as the vampire Barnabas Collins. "We're actually going to shoot that film next September/October with Tim Burton and Johnny," King said. "We've been given a script. John August wrote the first screenplay. We're making some changes, but the film's going to be in production, as I say, September or October of next year." Dark Shadows will be the latest in a long line of collaborations between Burton and Depp that stretches all the way back to the 1990 film Edward Scissorhands; their most recent work together includes Charlie and the Chocolate Factory from 2005, Sweeney Todd in 2007 and the upcoming Alice in Wonderland, on which Burton is still finishing post-production work. 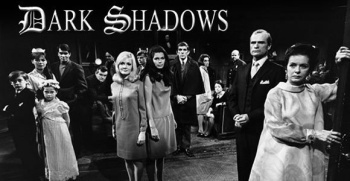 The original Dark Shadows ran on ABC from 1966 to 1971 and according to Wikipedia became "hugely popular" when Jonathan Frid joined the cast in 1967 as the vampire Barnabas Collins. The series fell victim to declining ratings and the economic crunch of 1970, however, and despite the anger of fans was replaced in mid-1971 by a new version of the 60s game show Password. It's tough to predict how the film will fare in the current era of brooding, nancy-boy vampires but King said it will definitely "have something to say in the post-Twilight world." He refused to offer up any details but pointed out, "This is going to be Tim Burton and Johnny doing a vampire movie, right?"